My late mum, Marjorie HAY, said she was brought up by her grand parents above a pub at 14 caledonia road. This looks like what is now Jack's Corner. Does anyone have any history of this establishment? 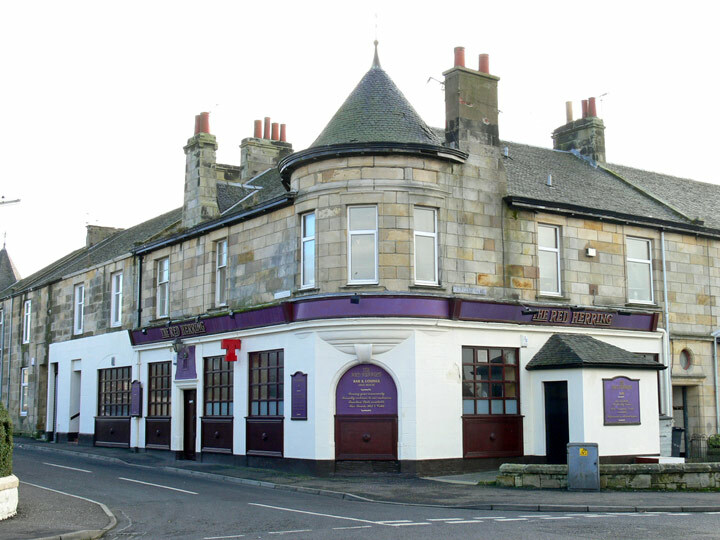 I think the official address of the pub is 2 Young Street, Ardrossan, KA22 8JZ, which, of course, sits on a corner at the junction with Caledonia Road. There has been of pub at this location for as long as anyone on this site can remember, it was definitely there when I was a youngster in the early 1950's. At that time it was called the CRESCENT BAR, but only ever referred to as the "Tap Shoap" or "Top Shop," presumably because at that time it was the uppermost pub in the town. I think it became the RED HERRING in the 1960's, and latterly JACK'S CORNER. I don't think there has been any other names in between? 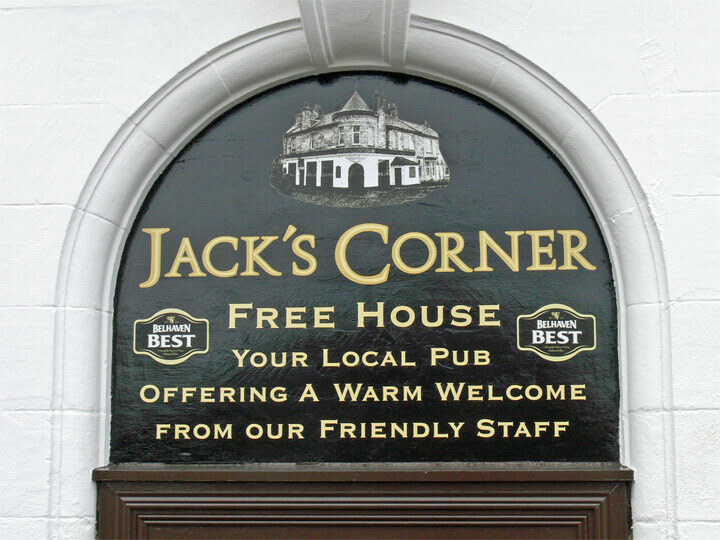 Strange as it may seem, the original ‘Jack’s Corner’ was ‘round the corner’ in Paisley Street. 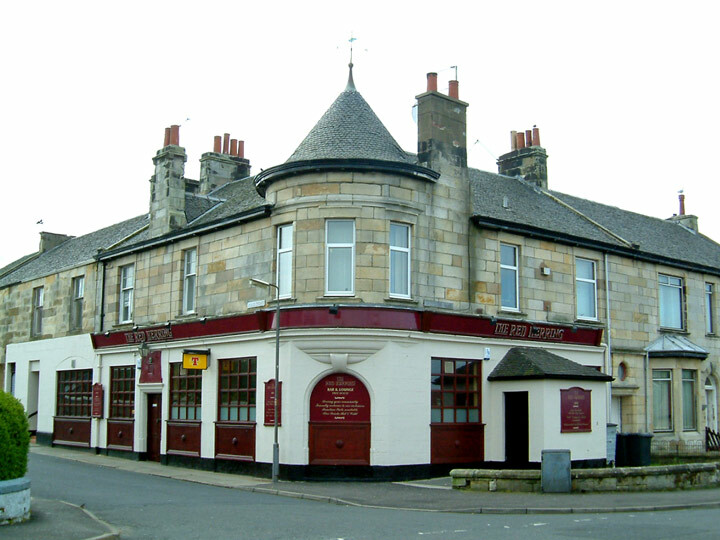 In the Ardrossan Valuation Roll of 1895-96, James Reid (1849-) was named as a spirit dealer and tenant of a public house and store in Paisley Street owned by the Lanarkshire and Ayrshire Railway Company. In the 1891 census, the family lived at 37 Paisley Street and James’s occupation was a publican. In 1895, Paisley Street comprised two roads in an L-shape while now it is a single street. The ‘missing’ road is part of Young Street which was built in the early 1900s. The map below shows the old, longer Paisley Street and a public house on the corner of Paisley Street and what is now Young Street. 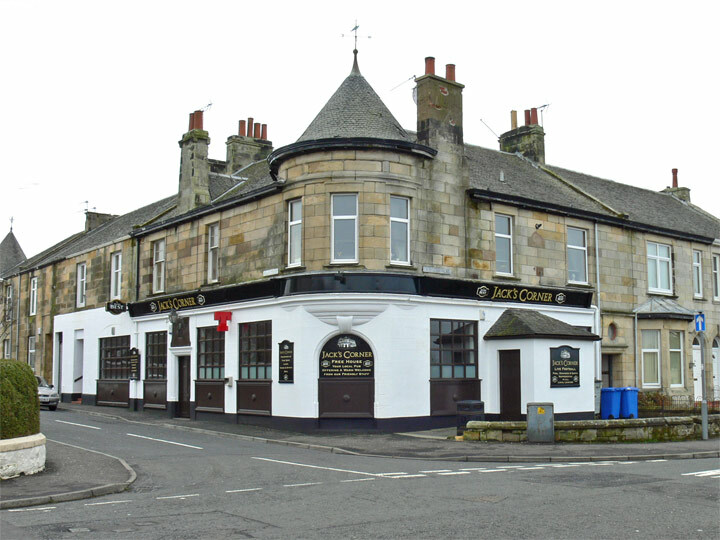 The report below from the Ardrossan and Saltcoats Herald of 21 April 1899 shows that Matthew Beck was granted permission to transfer his licence from the old pub to a new one which is now Jack’s Corner. 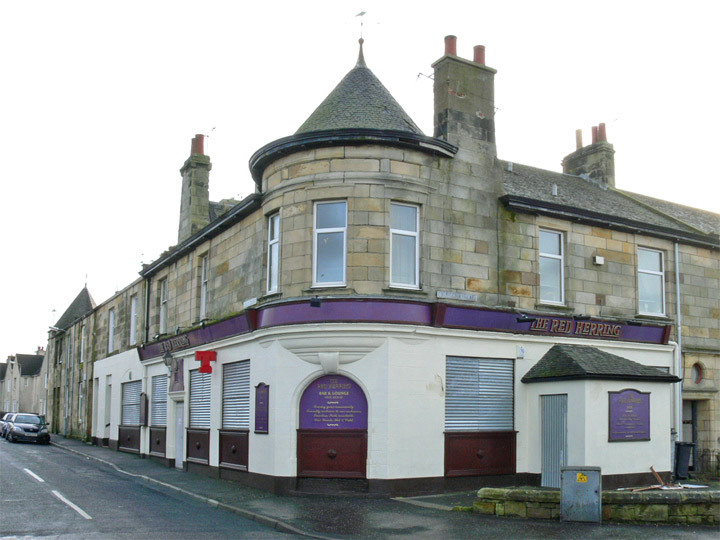 Matthew Beck applied for license for new premises in Caledonia Road, Ardrossan. Mr Thomas Guthrie, Ardrossan, who appeared for the applicant, said this was not a case of applying for a new licence. The applicant had occupied premises in Paisley Street from 1 July. Trade had been carried on in the Paisley Street premises for many years. He showed how, by the introduction of the Caledonian Railway, Paisley Street had become detached from the town generally. Mr Beck had built a block of first-class property in Caledonia Read to which he wished the license transferred. He knew some of their honours had visited the place but he submitted plans. The houses above had all been let to tenants of respectability equal to the others in the vicinity. Mr Beck himself lived in Eglinton Street. 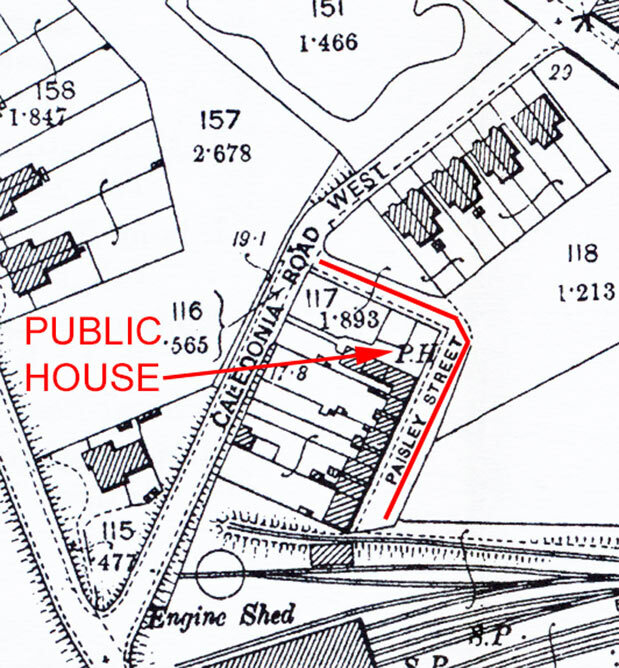 The licensed premises consisted of the public bar, three small boxes, two sitting rooms and lavatory accommodation. The only entrances were from the public street - one from Caledonia Road and the other from a street which would be called Young Street. Mr Beck would require to come on to the street in order to get to his own store. A precedent had already been formed by the Court in the transference of a licence from Princes Lane to Glasgow Street. Mr Galloway proposed that the application be granted, taking care to emphasise the fact that the Caledonia Road referred to was a new street in Ardrossan and not Caledonia Road, Saltcoats. Provost Young seconded. The application was granted accordingly. It appears that Matthew Beck’s construction was known as Beck’s Buildings as mentioned in the intimation of death below from the Ardrossan and Saltcoats Herald of 23 October 1903. Here are some more recent views of the pub.